Low Rate Guarantee - lowest rates in the industry. Zero Down Closings - no out of pocket closing costs. Trusted Lender - A Rated with Better Business Bureau. Act Now - SPECIAL OFFER! Call or complete the form to end your property tax worries -- It's Easy! Easy Application and Fast Closings – takes just a few days. 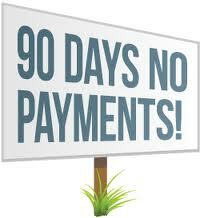 99% of Applicants Approved - prior credit problems are not an issue. Flexible Repayment Terms - loan terms up to 10 years. "We were amazed at how easy it was to solve our tax problem."